A propeller control system malfunction is focus of the investigation into the cause of a fatal Let L-410 accident in Russia in November 2017. 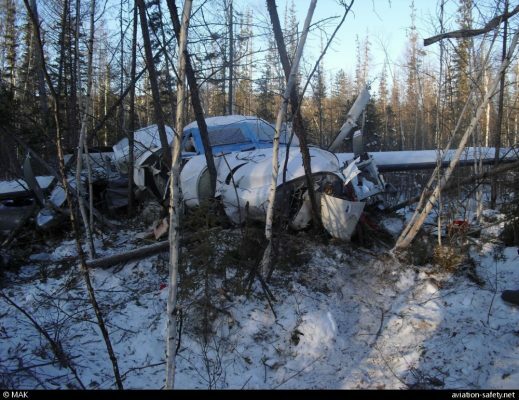 The Let L-410 aircraft operated by Khabarovsk Avia impacted a forest with little or no forward speed, 1200 m short of runway 04 at Nelkan Airport, Russia. Two crew members and four passengers suffered fatal injuries. A young girl was the only survivor. On 15 December 2017 EASA issued a Safety Information Bulletin, stating that preliminary investigation identified an un-commanded activation of the beta mode signalization of a propeller during the final approach. As a preliminary preventive measure, Let issued Revision 1 of Service Bulleting L410UVP-E/492b, providing instructions to check the components of engine and propeller control system, including the beta switch.